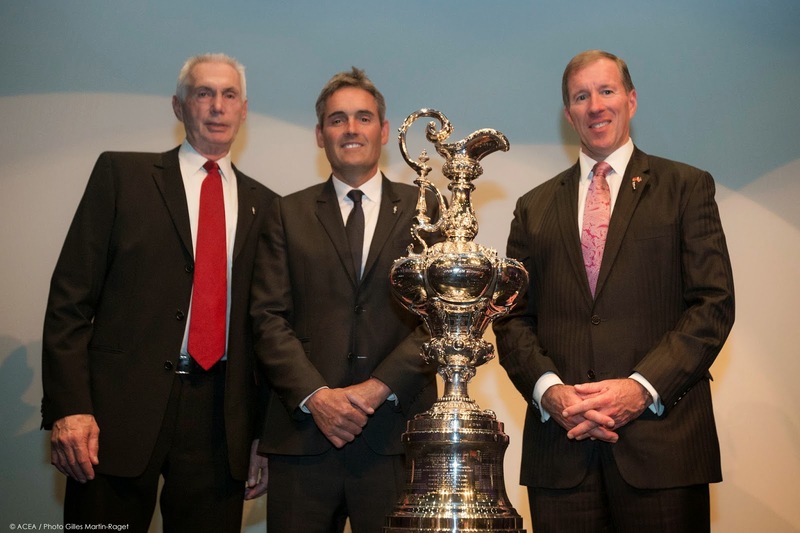 The next America’s Cup will be raced in Bermuda in June of 2017. The host venue was confirmed at a press conference in New York on Tuesday by Harvey Schiller, the Commercial Commissioner for the America’s Cup. “In Bermuda we have a perfect international venue to demonstrate the excitement America’s Cup boats and teams can generate,” Schiller said. “The sailing conditions are near perfect. The race course on The Great Sound is a natural amphitheater with room for racing and spectators, amid a spectacular backdrop of islands and beaches. And the proposed America’s Cup Village at the Royal Naval Dockyard will be the heart of the event for the teams and fans alike. Michael Dunkley, the Premier of Bermuda, said hosting the America’s Cup would showcase the island’s strengths. 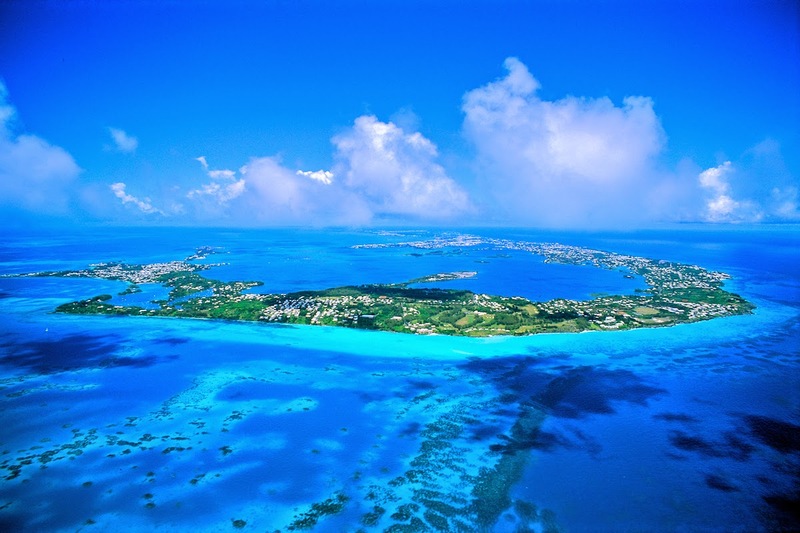 “We are honored that Bermuda was selected to host the 35th America’s Cup in 2017. Being the home of the America’s Cup is an extraordinary opportunity that aligns perfectly with the heritage, profile, spirit and future of our island,” Premier Dunkley said. “We thank the America’s Cup Event Authority for their confidence in us – and for their vision to evolve the experience for spectators and participants alike. There is no more vivid and hospitable setting than Bermuda to stage an event of this nature and for the next evolution of the sport. This announcement today marks an exciting new chapter for Bermuda too. That our futures are linked in such a meaningful way will make for a great partnership. 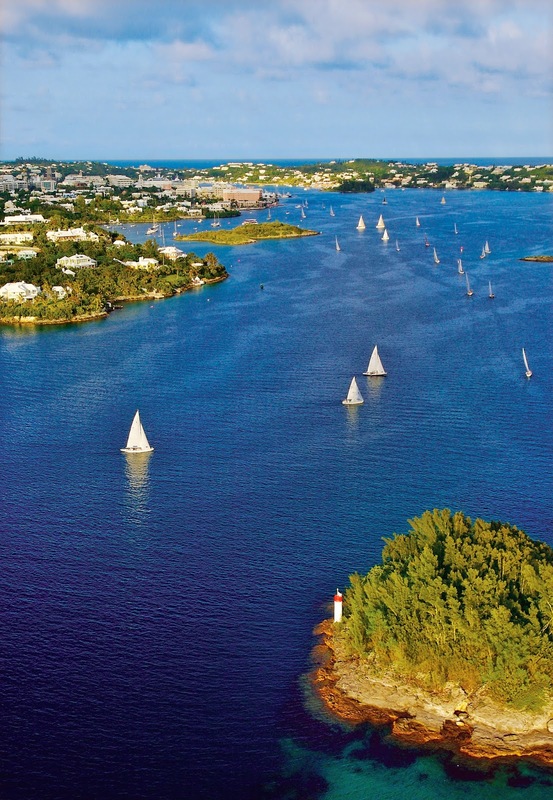 “From the very start, Bermuda’s bid was designed around our many strengths, including our near perfect sailing conditions, our temperate year-round climate for team training, our optimal location and time zone for visitors and television viewers alike, the intimate and unmatched setting offered by Bermuda’s Great Sound, our maritime legacy and innovation, and the spirit and hospitality of our people. Six teams have so far taken up the challenge of racing for the next America’s Cup, the oldest trophy in international sport. The defending champion is ORACLE TEAM USA, which won the last event with a spectacular comeback over Emirates Team New Zealand, who return as a challenger, along with Artemis Racing (SWE), Ben Ainslie Racing (GBR), Luna Rossa Challenge (ITA) and Team France. The second edition of the Red Bull Youth America’s Cup was also confirmed in New York. In the inaugural edition, over 40 national youth teams (aged 19-23) applied to enter the qualifying phase. The top ten teams raced on the America’s Cup course in the same AC45 catamarans the pros had used in the America’s Cup World Series. The purpose of the Red Bull Youth America’s Cup is to provide a pathway towards a career as a professional sailor in the America’s Cup. In that, it has already proved successful, after just one edition. Four to six events are expected in 2016, including a summer regatta in the USA in Chicago. A stop in Portsmouth, UK has already been confirmed for July 2016. In 2017, all teams will compete in their new AC62 catamarans, powered by highly-efficient wingsails and designed to fly above the water on foils at speeds near 50 mph. Racing begins for all teams with the America’s Cup Qualifiers where the teams are seeded - with bonus points - according to their results in theAC World Series. The top challengers then go on to compete for the America’s Cup Challenger Playoffs and the right to race ORACLE TEAM USA in the America’s Cup Finals in June 2017. Following the press conference in New York, the America’s Cup trophy was booked to fly to Bermuda for a ceremony on Wednesday.